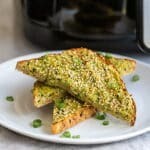 Super simple, super delicious! 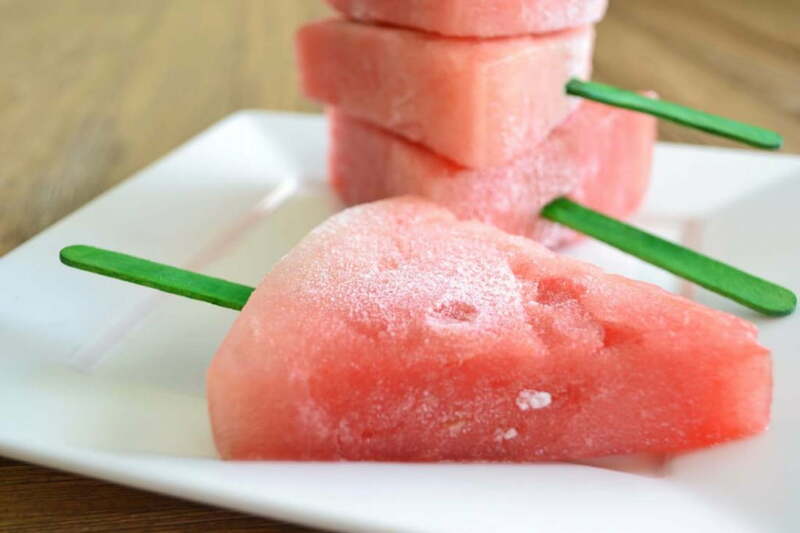 These Frozen Watermelon Popsicles only have one ingredient. Watermelon! 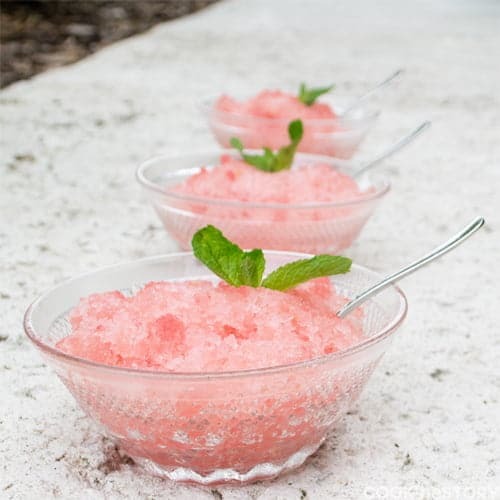 It freezes into the perfect refreshing healthy summer treat. It’s J’s (and the county’s) last day of school today. Watermelon is in season. It’s HOT outside. I guess summer’s here. I should be happier about it but, alas, summer in Florida is not the heavenly experience it is on the rest of the continent. Not at all! Which is why I’ve been thinking about ways to beat the heat this year and I’ve come up with a doozey. 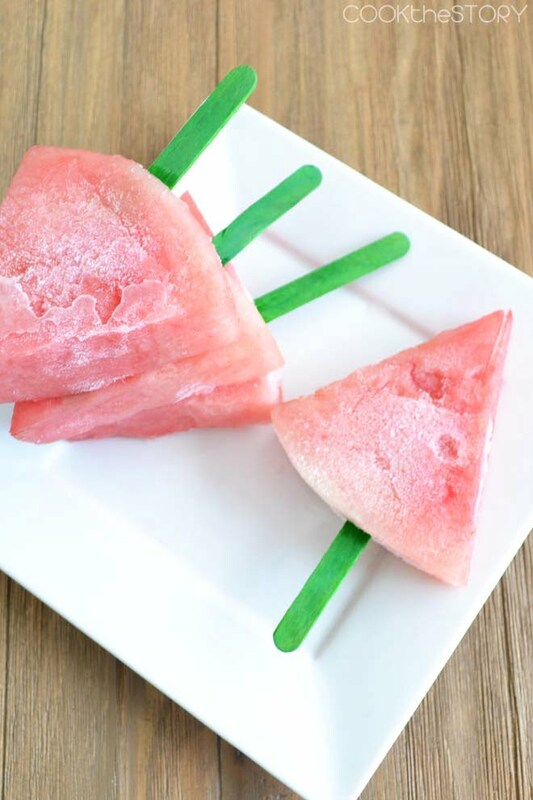 Frozen Watermelon Slices! c) is ridiculously easy to make. Well, frozen watermelon is it! It’s slurpable and full of summer fun for the kids. And, since it’s low calorie and refreshingly not too sweet, mom can join in every time. 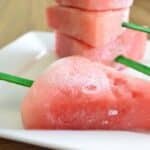 Cut watermelon into slices, trim off the rind, insert stick, freeze. No sugar or anything else added (except the popsicle stick, of course). I hesitate to actually give a recipe since that’s all there is to it. But in case you want really explicit instructions, the recipe is below. I hope you have fun making these watermelon popsicles! So easy! 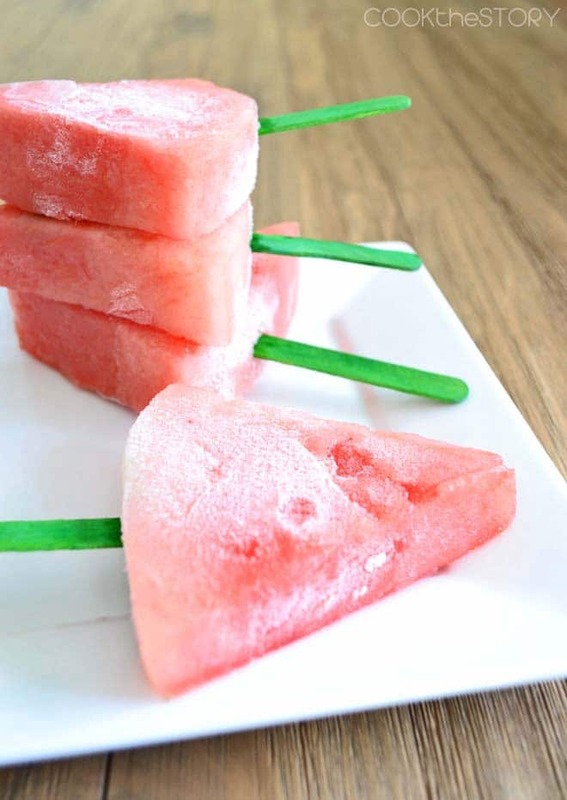 Put watermelon onto sticks and freeze. Easiest popsicles ever. From your watermelon, cut off one half moon of a slice about 3/4 inch thick. Trim off the rind, poke off any pale seeds that are showing and then cut the slice into 3-4 triangles. 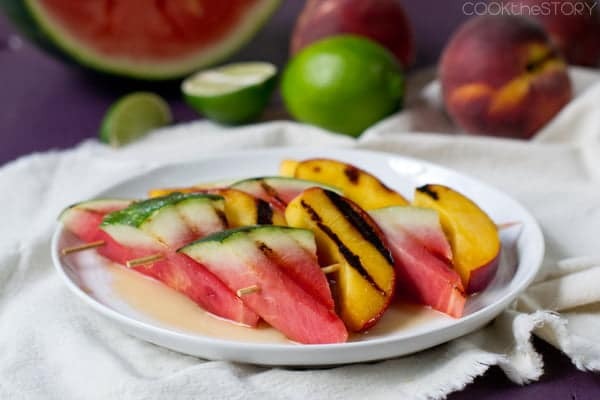 Lay one triangle of watermelon on a cookie sheet. 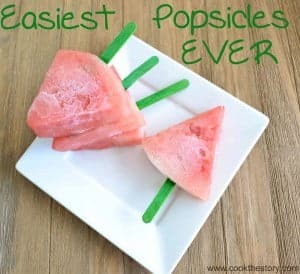 Slide a popsicle stick in at least halfway (I slide mine into the curved edge where the rind used to be but it doesn't really matter where you stick it as long as it goes at least halfway in and is completely surrounded by watermelon). 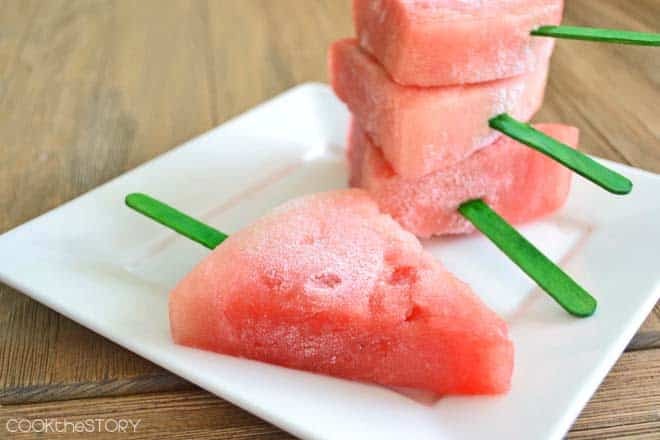 Repeat with remaining watermelon until you have as many popsicles as you'd like (note that they can't be touching while they freeze or they become hard to break apart. So only make as many as you have space for on cookie sheets in your freezer). Spread the slices out on the cookie sheet so that they're not touching. Freeze on the cookie sheet for 3-4 hours, until frozen through. Eat or wrap watermelon popsicles individually in plastic wrap and return them to the freezer where they'll keep for 5-7 days. My kids love to eat fruits. 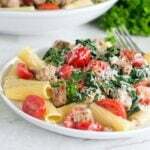 This recipe is something new to them and I think they will love this. thanks for sharing! Hi Christine ~ Some people get grumpy when they are overheated. It’s an awesome idea and if you make money per view GOOD FOR YOU. I googled it and found you. I pureed watermelon and froze it. I did the same with fresh strawberries; and fresh pineapple. 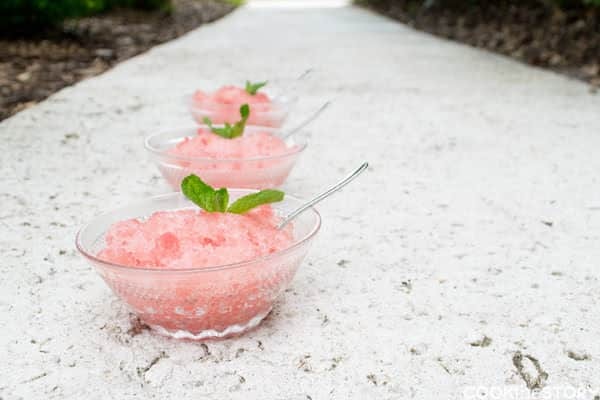 Super easy; fresh fruit; puree in blender, pour into molds, freeze. No added sugar or preservatives; Low cal and perfect when it’s so hot you can’t eat other food. 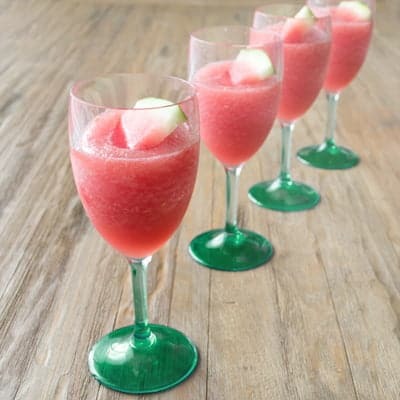 The pineapple, watermelon or strawberry pops are 18 calories each @ 9 calories per ounce of puree. Canned fruit in 100% fruit juice works too. So does unsweetened or cinnamon applesauce. When you consider what frozen fruit bars cost at the market this is also extremely economical. I live in So CA and hate summer but love frozen popsicles, all year round. Cheers! Theresa, thanks for the great ideas! i can’t believe you made a “recipe” for putting sticks in fruit. i’m so very glad that i have an adblocker and you get no money from my view. Actually, there is a bit more to it than that. First of all, not just any fruit works this way. Some freeze solid such that you can’t even bite them. Discovering that watermelon slices freeze to exactly the right icepop consistency was pretty cool. Also, I timed how long they took to freeze. 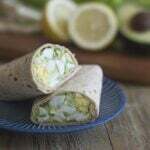 And after they were frozen, I wrapped them up and tested them every couple of days to see how long they continued to stay tasty. Anyhow, my kids really love this treat and every time we have a summer party I make these for the kid guests and they all love them too. It might just be fruit on a stick but it’s fruit on a stick that kids really love and I thought it was a neat discovery. Chris, where do you get popsicle sticks?? I’ve been looking for them for our homemade “corn dogs” as well, and the best I’ve been able to substitute are coffee sticks (same shape as a popsicle stick but flimsy). These come from the craft section of Target. I bought them ages ago for a craft, threw away the packaging and kept them in a ziplock bag. Now I find myself wondering if they were even food safe!?!?! But I bet Michaels and Joannes have them too, and they’d definitely have food safe ones. Worth trying Walmart also. That’s EXACTLY what made me think of it. 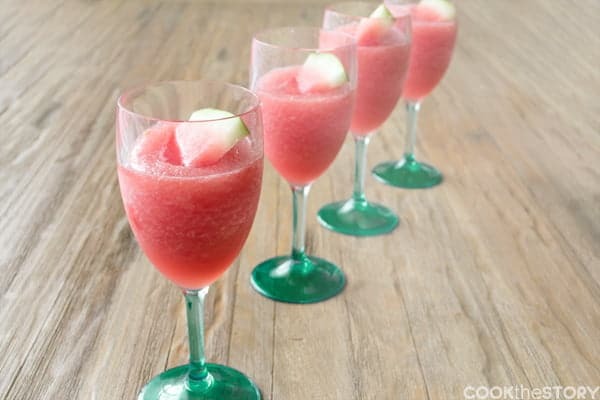 I was pureeing watermelon to make juice to freeze into popsicles because I knew we weren’t going to get through it all. And then I was like, “It’d be so much easier if I didn’t have to puree it first. Hey wait. Do I have to puree it first.” Inserted sticks and had popsicles a couple of hours later. Yay! Love this idea—I have to give this a try the next time I buy a watermelon! I haven’t tried it myself but I’ve heard that soaking the slices in a bit of rum before freezing is a nice twist! I think you guys would like that :). 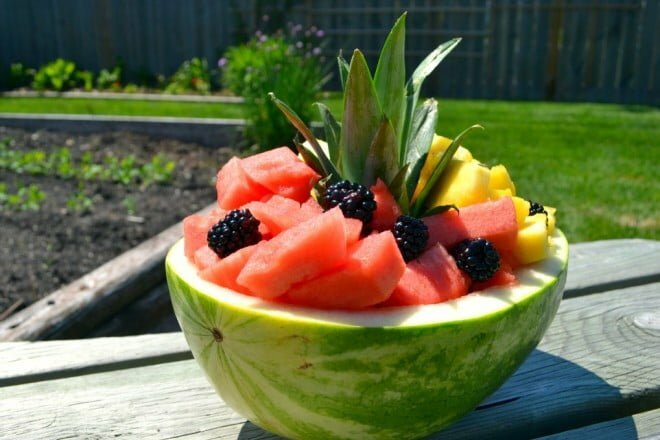 Now that is one refreshing summer treat! Ok, if there was any doubt (which there really wasn’t) about your sheer brilliance then this recipe has settled it. Will ‘make’ these tonight! I’m usually pretty modest but I have to agree that discovering this felt like sheer brilliance. I was amazed at me. I even googled around and couldn’t find anything like them online so I felt even more amazing. But then after posting it I’ve heard from many people about how they’ve been doing this for years. I even found an alcoholized version online. So brilliant, maybe. Original, not as much as I thought! Oh well. They’re still delicious and still make both J and me happy so all is well.